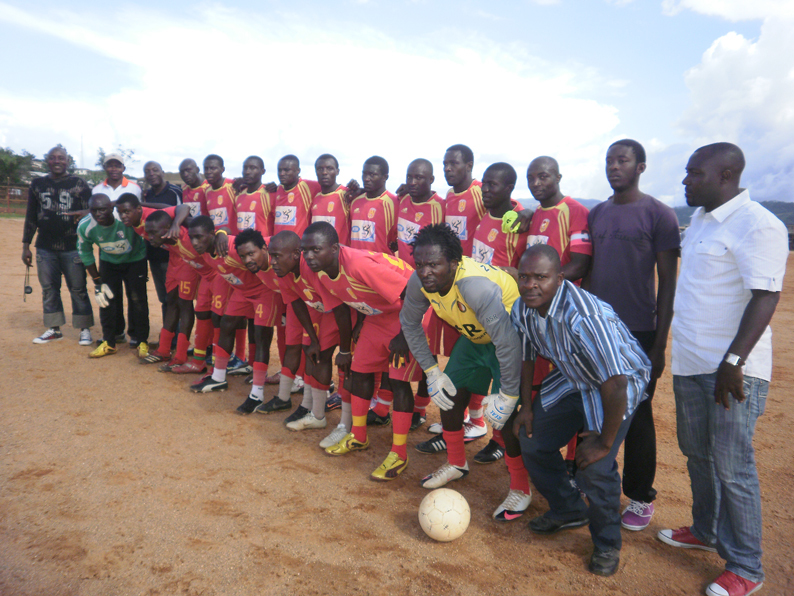 Unisport FC, based in the central-western city of Bafang, has made a promising start to the Cameroonian MTN Elite One 2012. Enterprising striker Alex Ngamou is top scorer at the club and his six goals makes him the highest scorer in the league together with veteran Joël Moise Babanda of Union Douala. Please note that some sources writes that Ngamou has scored five goals and not six goals. Apparently, it is uncertain whether Ngamou or Charles Eloundou Etoundi scored for Unisport FC against Renaissance FC on 01.04.2012. As far as I know, the current season is the second season at top level for Ngamou. He was a regular player for Unisport FC during the MTN Elite One 2010-2011, scoring two league goals. Towards the end of the season, in June 2011, Ngamou was named in the squad of the Cameroon U-23 national football team. After the season, in September 2011, Ngamou played for Cameroon U-23 during the 2011 All-Africa Games in Mozambique. He did not score any goals during the tournament, in which Cameroon U-23 won the bronze medal. The MTN Elite One 2012, that started in January, has been a breakthrough for Ngamou. He scored four goals during the first four matches of the season and was described as “la revélation de début de saison”. According to http://www.unisport-fc.com, Ngamou is born 15.01.1990, making him 22 years old at the time of writing. According to the same source, Ngamou is 186 centimeters and 78 kilos. On 18.02.2012, Ngamou scored for Unisport FC against Séwé Sports de San Pedro (Ivory Coast) during the Premilinary Round of the 2012 CAF Confederations Cup. Ngamou was part of the team that played Heartland FC(Nigeria) in the First Round match (0-0) on 24.03.2012. The teams will meet again this weekend. Ngamou will gain valuable experience from playing in the CAF Confederations Cup. If Unisport FC advances to the latter stages, Ngamou will most likely play in front of several scouts and agents. His full name is apparently “Alex Russel Ngamou”. His last name is sometimes written “Nganou”. The picture of Unisport FC is taken from http://www.unisport-fc.com.